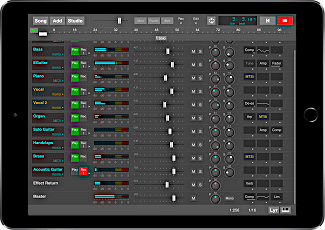 MultitrackStudio for iPad is a streamlined, simplified version of MultitrackStudio. It's even easier to use, even more straightforward and even more fun. Think MultitrackStudio but leave out the computer problems and distractions... that's MultitrackStudio for iPad! Imports/exports .zip file containing all files needed to open song, compatible with MultitrackStudio for Windows/OS X.